Richard Rice joined our General Partner as Senior Vice President, General Counsel and Corporate Secretary in November 2012. Prior to joining PetroLogistics, Mr. Rice was a partner at the law firm of Bracewell & Giuliani LLP, and was the head of its Oil, Gas and Midstream Practice Group. 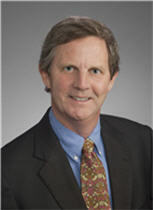 During his 28 year legal career with Bracewell & Giuliani, Mr. Rice worked on numerous domestic and international energy transactions, with a particular focus on the midstream sector and transactions relating to the acquisition, sale, construction and operation of petrochemical facilities, pipeline systems, storage facilities and related assets. Mr. Rice earned a B.S from the University of Connecticut and a J.D. from Vanderbilt University. He is a member of the State Bar of Texas and also a solicitor of the Senior Courts of England and Wales.